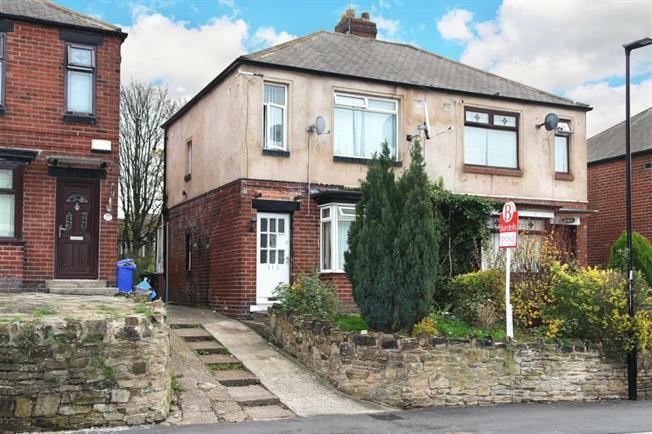 2 Bedroom Semi Detached House For Sale in Sheffield for Guide Price £85,000. Having the benefit of a shared driveway leading to its own garage is this two bedroom semi detached house. Offering gas central heating and currently being rented producing a good rental return. Accommodation comprises, entrance lobby, lounge, kitchen, rear porch, two bedrooms and bathroom. Outside gardens to both sides with shared driveway which leads done to a detached single garage with a further option to turn part of the garden into further off road parking. Viewing is strictly via the agent.